We’ve talked about the benefits that listening to music offers exercisers a lot here on the GBM Music blog – and with good reason! We believe that listening to music when conducting a sustained period of exercise, is an excellent way to improve your motivation and enjoyment levels, and therefore to also boost how beneficial each workout you take part in is, and to improve the chances of you conducting more exercise on a consistent basis. When it comes to exercising, it’s important to try to enjoy yourself as much as possible. The key lesson is that if it feels like a chore, you simply won’t do it, and you’ll struggle to find the motivation to drag yourself out of the door each day. What is undoubtedly crucial, however, is choosing the right music to have the best impact. This isn’t as simple as choosing music you enjoy – it needs to have a positive effect on your exercise to be worthwhile. In our opinion, it’s best to use a little trial and error when working out what music is most beneficial to you when exercising. It does seem like there’s no hard and fast rule when it comes to choosing your music. In fact, some people even say they prefer listening to spoken word, stories or podcasts while they work out. I’m in training for my first half marathon, and I quickly realised that I would need to refine my music playlist to get myself through the rigorous training programme. So I put together a playlist of my favourite songs. This worked out great until I’d suddenly hit by a song that was too slow, or gentle, and my momentum would suddenly be scuppered, leaving me all out of kilter. I like a lot of slower, softer tracks, but when it comes to exercising, for me personally, they simply don’t cut the muster, and can throw me straight out of my rhythm. So I weeded out these offenders and concentrated on keeping in high energy tracks with a steady rhythm. I’m one of those people who’s naturally inclined to follow the beat of a song, so I then had to focus on removing songs that were either a little too slow or a little too quick. Once I’d done this, I had a solid playlist of songs that actively helped me to exercise – and I quickly noticed how beneficial this was. I also realised that it’s important to not be worrying about all this while actually trying to exercise. Having a pre-prepared playlist that you know is tailored to your exercise needs gives you the confidence to go out and simply focus on your run. This process was part of the inspiration for GBM Music’s epic running track, which is coming soon. This 30 minute song is designed to guide runners through the perfectly paced run. In the meantime, let us know what music you enjoy exercising to, and any tips you have! Known across the globe as the home of Robin Hood, there’s a lot more to the city of Nottingham than a little Medieval mayhem. For some reason, Nottingham’s creative scene sometimes gets overlooked on a national level, but with designers like the legendary Paul Smith, innovative chefs like Sat Bains, and musicians like Jake Bugg and the Sleaford Mods, putting the city on the map, it’s clear that this is a diverse and engaging city to be a part of. Just recently comedian and actor Stephen Mangan tweeted that the city was a ‘Cultural Powerhouse’ after many of the city’s industries, universities and robin hood impersonators decamped to Parliament for a bumper day of promotion and awareness raising, as they shouted loud and proud about what Nottingham has to offer on a national level. Great morning at the Houses of Parliament for #NottinghamTogether. Some rousing speeches – Nottingham is a cultural powerhouse! It’s often said that Nottingham doesn’t shout loudly enough about what it has to offer, but I get the feeling that that’s really beginning to change, and that the city is on the rise, and becoming much more confident in its own skin. I’ve lived in Nottingham for a little over a year now, and the city’s really impressed me – the Creative Quarter in particular feels like a great place to live and run a business. There are a lot of fantastic facilities, like the creative hub Antenna – where you can grab a coffee, or go along to workshops and events, and there seems to be a tight nit community of local businesses and entrepreneurs present. With everything from independent cinemas like Broadway, to festivals like Hockley Hustle, there’s always something quirky and interesting happening in the Hockley area. It’s also hard to beat the amazing 200 Degrees cafe when you need to get out of the office, or studio, and get down to some work with the perfect cappuccino. From a musical perspective, there are some fantastic venues like Rock City and Rescue Rooms, and there’s always live music to watch in small independents and pubs. It’s also a new UNESCO City of Literature, and rebel writers like Lawrence and Byron give the area an outlaw edge. With local musicians and producers here churning out great music all around the city, GBM Music is proud to be a part of the diverse and exciting creative scene here in Nottingham. Whatever business you’re in, pitching your presentations just right can be tricky. On the one hand, you want to look smooth and professional, like you know exactly what you’re doing and are completely confident in everything that you’re saying. On the other, it’s important to also show a little vulnerability, so your audience can connect with you, and buy into the messages you’re trying to share. There’s nothing worse than a cheesy corporate video or presentation. Hitting business cliches with your synthy 80s music and bizarre slide transitions will instantly turn off an audience, clouding any message you’re trying to deliver, no matter how relevant or interesting what you have to say actually is. If you’re going to use background music for your business presentation or video, you need to ensure it’s there for a reason, and that you understand the influence it’s having. One of the best ways to ensure that your presentation stands out from the crowd, and feels fresh and important, is to use effective background music. I’m not talking cheesy, royalty-free clips, which will have your audience squirming in their chairs, but carefully chosen music, which gently emphasises your point, or adds to the overall impact of your presentation. Used correctly, background music can help you to deliver your messages loud and proud, as you touch on emotional buttons, or convey a certain mood or atmosphere. Whether it’s a moving anecdote, or a background song that you can use to set the tone and keep the momentum tight, this shouldn’t be a decision that you make without putting some thought into it. Remember, you can also use music to cue your presentation and keep things ultra slick. Choosing the right song really can make or break your presentation. The type of music you choose also sends out messages about the type of business you are. A modern, forward thinking company will want to use music that reflects that. Using sub standard, or unprofessional sounding music will convey the opposite impression. So next time you’re taking to the stage to deliver a key message, take the time to think about whether music could enhance your business presentations, and be sure to spend some time choosing the right soundtrack for the information you want to convey. We’ve got something a little different for you in the blog today. Last night, I was let loose in the studio with my new camera, and decided to try and get a few different snaps of some of our favourite pieces of equipment, which we use to create the background music that GBM Music sells. Here are some of our favourite snaps from the shoot – let us know what you think of them! 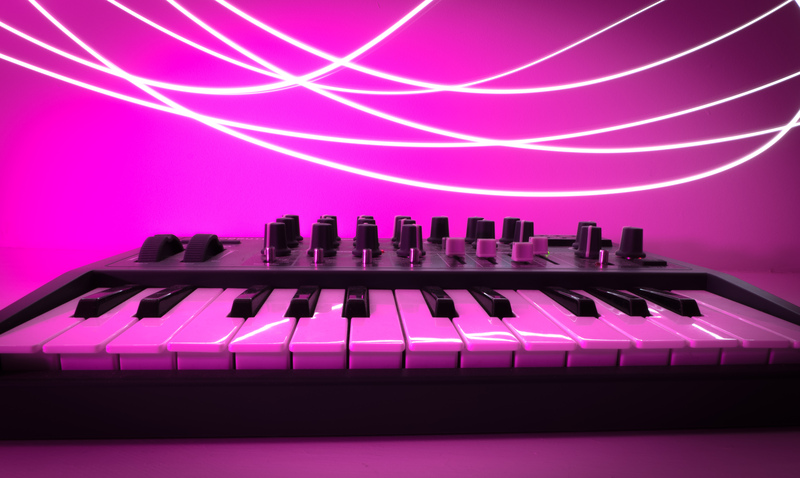 You can find more info on many of these synths in our blog about favourite gear. 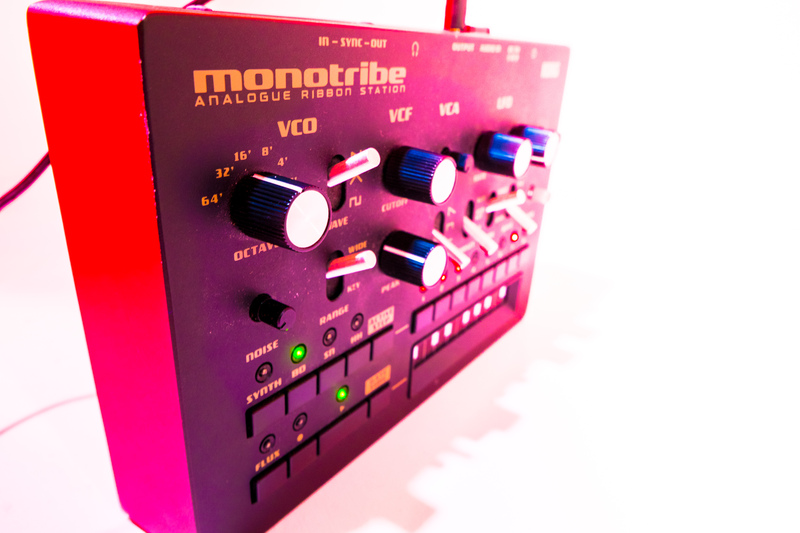 The Monotribe is a real beast, and it looks as good as it sounds, when its MS20 filter is screaming. We mainly use this brutish synth to add crunchy basslines, and we love its chunky knobs and dials! 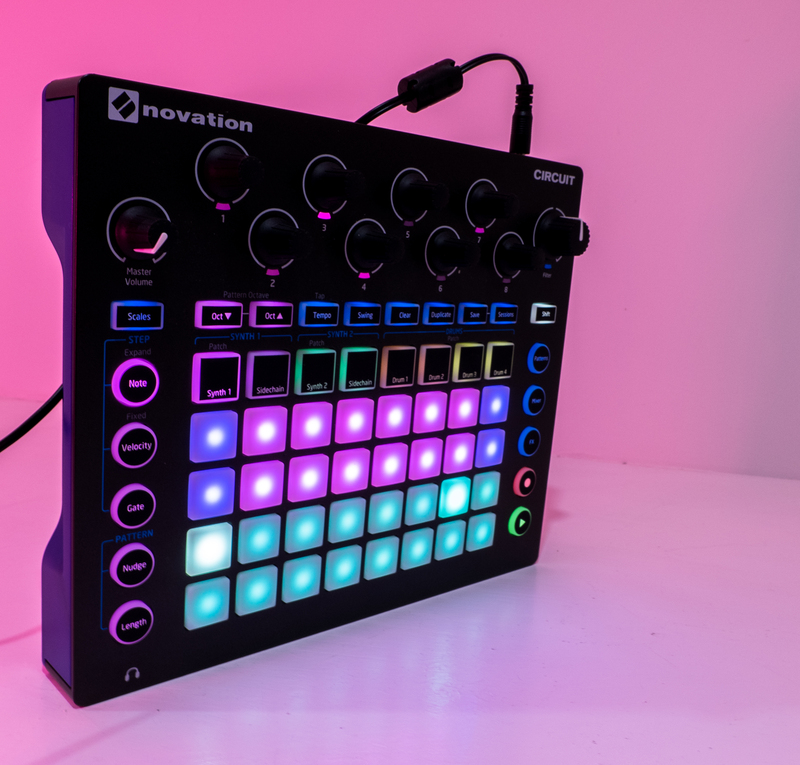 We also love this guy, complete with useless but cool LEDS on the bottom, and a great little touchpad for adding effects to your instrumental tracks. It’s hard to take a bad picture of this stylish all-in-one synthesiser from Sweden. It just looks great! 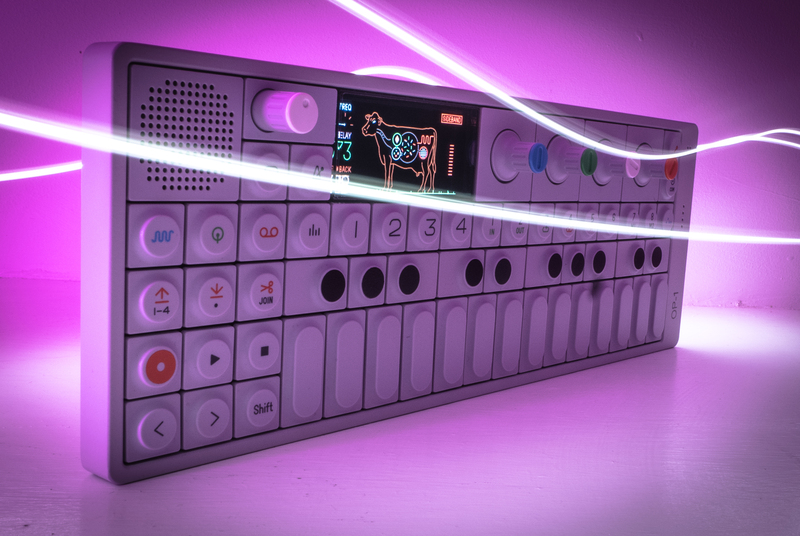 One of our favourite new pieces of hardware, this colourful synth simply keeps getting better and better. How music can make your podcast pop! Podcasts once seemed destined to take over the world, and were the new big gimmick a few years ago. Since then, the format has carved out its own niche, and they remain a much-loved form of content, which listeners from across the world love. These downloadable audio broadcasts tend to be informal, immersive and engaging, and provide a unique experience for the listener, beckoning them into a new world, or a deeper conversation than typically found in the media. While informal chats like the Adam Buxton Show are always entertaining and can often be insightful, other popular shows like Radiolab and Serial take on a more structured approach, telling engaging stories, and using sound to enhance the show. The one thing that the shows all have in common is the use of music to create an engaging experience, and truly immerse the listener in the story. If you’re considering starting your own podcast – whether it’s as a hobby or for your business – you need to think carefully about your choice of background music. It’s important that you avoid breaching any copyright laws, and have the full rights to use any music you use in your podcast. Popular music is often prohibitively expensive, however, which is why so many amateur podcasts and vlogs sound cheap and unprofessional – simply put, they’re using cheap and unprofessional music. The music you use will define the tone and atmosphere of your entire broadcast, so this shouldn’t be something you take lightly. The music will also serve as punctuation for your podcast, breaking up the segments, providing structure and creating user familiarity. There are a lot of podcasts out there, and if you want yours to stand out, then you need to choose original music, that fits your style perfectly. Simply rehashing cheap, or royalty free background music that’s ubiquitous across the internet will quickly turn listeners off, as it instantly screams out amateur. You want to be creating a polished, professional podcast with its own identity, so don’t try and take a shortcut when it comes to the music you include. Familiarity – Ideally, the music you use will be instantly identifiable with your podcast. To do this, it’s likely you’ll need an original composition. Style – It’s no good having a jaunty clip of music leading into a heavy topic. Think about the atmosphere you want to create, and paint a soundscape for your listener. What do others use? – Find some podcasts you love, and listen to how they use music and sound to achieve great effects. Price – While you’re unlikely to be able to license music from pop’s biggest names, try calling in a favour from a musical friend, or look for up and coming artists who want to share their work with a wider audience. If you pay for some music, do your research, and don’t get ripped off. 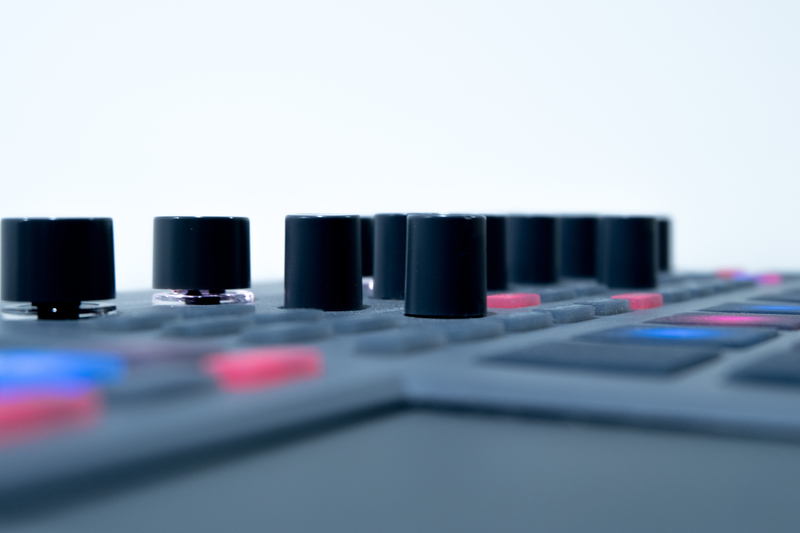 Versions – If you do pay for an original composition, make sure you get a few different mixes of it – for example one without lyrics, one without drums and one with extra drum breaks. This way you can really make the most of your investment, and use your piece of music as the bedrock to your audio, without it sounding repetetive.